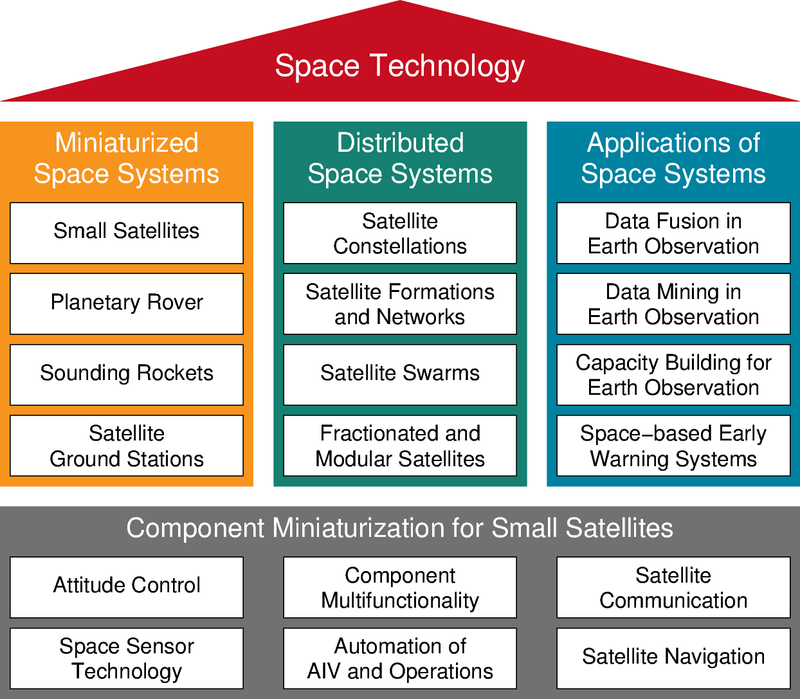 The research of the Chair of Space Technology focuses on the miniaturisation of space technology, in particularly on the miniaturisation of small satellite technologies at the component and system level. With the launch of 16 small satellites, which have been designed and built together with students, and 8 more satellites being on the way, Technische Universität Berlin ranks as one of the world’s leading universities in this area. Furthermore, the Chair of Space Technology conducts experiments on sounding rockets and runs projects on development and testing of planetary rovers and the corresponding mission operations technology.